The little Amsterdam Houses? Delftware blue and white porcelain reproductions of old Dutch canal houses, once filled with jenever [a Dutch liquor.] Given to Business Class travellers on KLM flights. 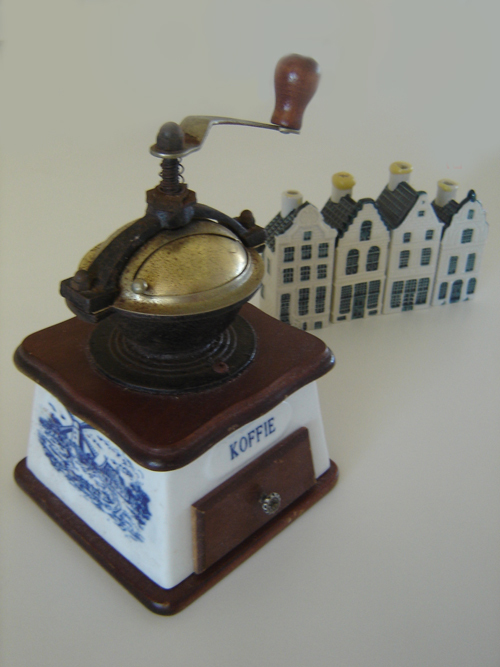 Koffie Grinder, thats a whole other Story coming soon. Blue & white plates, would look great on a wall or use as mismatched set.